Whether you want playable CDs or digital files, we can transfer your old audio to digital. The most common formats we do are listed on the left side of this page. Select the appropriate format for more information. Not sure what you have? Give us a call and we'll be happy to help you out. We've done our best to make the transfer process as smooth as possible. Collect up your records and tapes and bring them in to one of our stores. Well look at what you have and determine an estimated cost for the transfer. We'll finalize your work order, get some titling information from you, and barcode your assets to ensure they stay safe while we work on them. We'll also give you an idea of when your order will be completed. Most jobs are done in 1-2 weeks, but if you are in a hurry, let us know. Sometimes we can do a job quicker (rush charges may apply). So what are you waiting for? 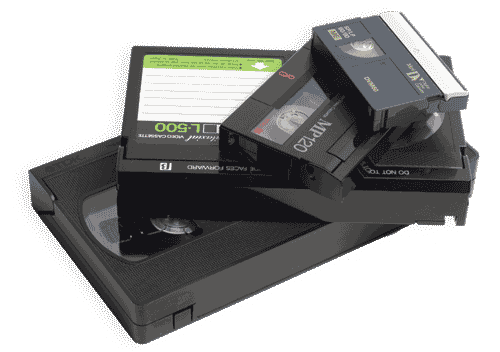 Gather up your old recordings and get them transferred today!